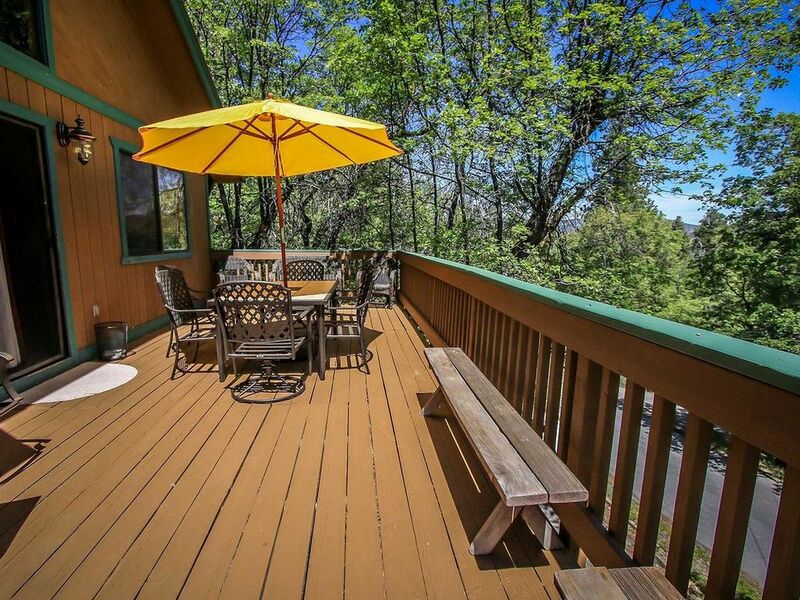 Tree Top Hideaway #888 is a relaxing 2 story secluded home with a fully equipped kitchen upstairs that has the essentials needed including cookware, utensils and a dishwasher. The entry level media room has comfy couches, a foosball table, dartboard, and an additional TV. There is also a warm and cozy living room with a gas only faux log fireplace, flat screen TV/DVD, and deck access out to the front deck with outdoor furnishings and a natural gas BBQ. This home features beautiful hardwood floors, Wifi internet, and a laundry room for your use. Nestled among the trees, and offering great sloped hills for awesome snow play in the winter season. We were pleasantly surprised by how nice and clean this cabin was. Looks like they just remolded it has a nicer kitchen then our house. The deck was my favorite we spent a lot of time there. Very close to the zoo and the lake. We will definitely rent this cabin again. What a wonderful Review! Thank you for taking the time to post. We are looking forward to your next visit!